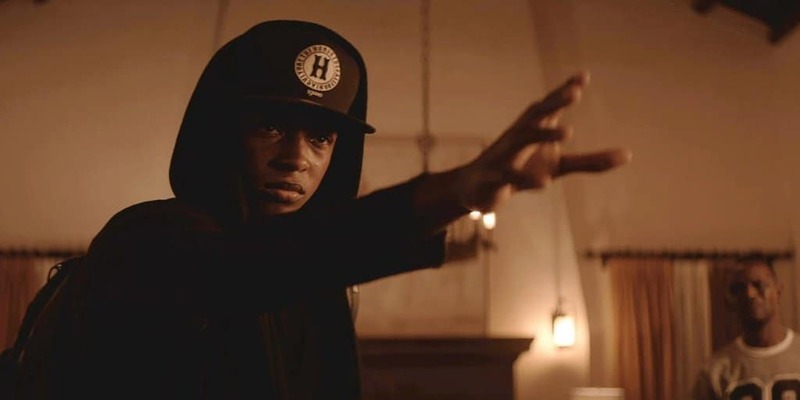 WATCH: Sleight Trailer Is Simply Magic | Nerd Much? There have been a lot of films lately about people with superhuman powers, however, almost all of them have had either the DC or Marvel to thank for their existence. It’s rare that this genre sees an outsider attempt to enter this large genre, yet director J.D. Dillard’s Sleight aims to do exactly that. Sleight tells the story of Bo (Jacob Latimore) who is a street magician that only has his little sister left and is struggling to survive. In order to provide for his sister, Bo turns to a life of crime which can only really end one way. However, the catch is that Bo has telekinetic powers that allow him to move objects without ever touching them, making this young man a powerful force to be reckoned with. Latimore is best known for his work in the recently released Collateral Beauty and Maze Runner, while Seychelle Gabriel can be heard in The Legend of Korra as Asami Sato. From the brief information and trailer we were provided, Sleight feels like a mix of X-Men mixed with the crime genre. Given that most superhero movies, even the wildly unknown Chronicle, typically revolve around big picture ideas Sleight’s focus on the people appears to be a welcomed change. While it’s too early to tell if Sleight will be the breath of fresh air needed for this every growing genre, it’s certainly caught our eye for now. Sleight releases in theaters April 7.